Chronic hepatitis B virus (HBV) infection affects over 350 million individuals worldwide. 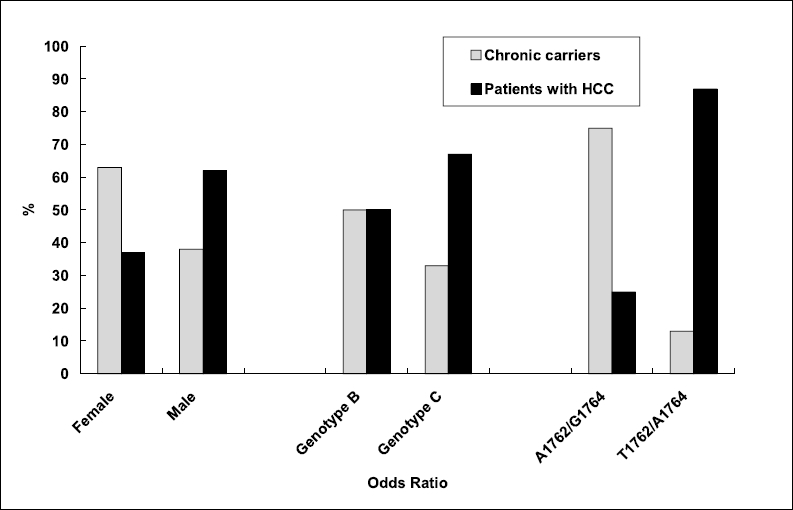 Chronic hepatitis B is associated with complications of end-stage liver disease, including cirrhosis and hepatocellular carcinoma. Six drugs have been approved for the treatment of chronic hepatitis B: interferon-alpha, pegylated interferon-alpha, lamivudine, adefovir dipivoxil, entecavir and recently telbivudine. Most agents designed to target hepatitis B are hindered by the development of resistance, poor tolerability or limited efficacy; therefore, the search for new agents and treatment strategies continues. Telbivudine is the latest approved anti-HBV agent; it is an orally administered nucleoside analog that selectively inhibits HBV replication. It has demonstrated potent activity against HBV in clinical studies, with good tolerance, lack of mitochondrial toxicity and no dose-limiting side effects. 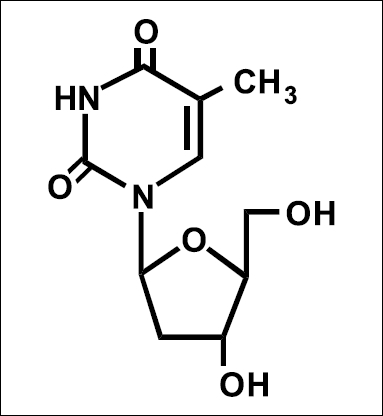 This review focuses on telbivudine, the latest oral antiviral agent for the treatment of chronic hepatitis B.
Entecavir is the newest and most potent nucleoside analog to be licensed worldwide for the treatment of chronic hepatitis B infection. It has been shown to be more effective than lamivudine and adefovir in direct head-to-head comparison trials. It is also useful in the treatment of lamivudine-refractory patients. Entecavir is safe with no significant difference in adverse effects compared to lamivudine and adefovir. Available data for up to 2 years of continuous therapy showed no development of viral resistance in nucleos(t)ide-naοve patients. Resistance to entecavir occurs only in patients previously exposed to lamivudine and occurs at a rate of 9% after 2 years of continuous therapy with entecavir. Hepatitis B virus (HBV) is a global health problem. Effective and individualized treatment of chronic hepatitis B to prevent progression to end-stage liver diseases and hepatocellular carcinoma is thus needed. HBV has been designated eight genotypes (A-H) based on genome sequence divergence. Each genotype has its distinct geographic and ethnic distribution. The epidemiology of HBV genotypes and their implications on the responses to antiviral therapy have become increasingly recognized. Recent studies suggested that sustained responses to standard interferon in patients with genotype A or B are better than those with genotype C or D. However, conflicting results exist regarding the response to peginterferon. Furthermore, therapeutic responses to nucleoside/nucleotide analogous are comparable among different HBV genotypes. In summary, clinical and pathogenic differences exist among HBV genotypes and future research should focus on molecular and virologic mechanisms underlying the clinical phenotypes of different HBV genotypes. Chronic hepatitis B virus (HBV) infection is an important issue among dialysis patients. It could result in nosocomial transmission and infection outbreaks in dialysis units. Vaccination, in addition to universal precautions, regular virologic screening and segregation policy, appear to be of paramount importance in the effective control of HBV infection in a hemodialysis unit, especially in view of the recent discovery of occult hepatitis B infection. Apart from infection control considerations, chronic HBV infection also poses particular problems to dialysis patients in terms of diagnosis and treatment of hepatic complications and pre-transplant management. This review summarizes the recent knowledge and understanding regarding the natural history, clinical presentation and outcome of chronic hepatitis infection in uremic patients and limitations of various existing diagnostic measures in the management of hepatic complications. It seems that chronic HBV infection is associated with high risk of hepatic complications in uremic individuals. Biochemical markers and HBV DNA are, however, inconclusive and liver biopsy remains the only definitive means to establish the activity of liver disease in dialysis patients. In this review, we propose an algorithm for approaching this group of patients and discuss the indications of liver biopsy, options of anti-viral therapy and pre-transplant workup in dialysis patients with chronic hepatitis B infection. Chronic hepatitis B remains a major public health problem, affecting approximately about 350 million people globally. The number of hepatitis B virus (HBV) infected children has not been fully documented. The natural history of HBV infection reflects the dynamic host-virus interactions related to the condition of the host immune system; hence, the clinical course of HBV differs between children and adults. The immaturity of immune system in young children is responsible for the fact that nearly 90% of HBV infections acquired in infancy and 40-70% HBV infections before the age of 3 years result in chronic carrier state of the virus. Therefore a large population is in need of effective and save treatment of this disease. Significant advances have been made during the last decades in the treatment of chronic hepatitis B. The epidemiological situation of HBV infection, its natural history, clinical outcome with its serious long-term consequences and therapeutical approach in children are reviewed in the paper. Hepatitis B virus (HBV) infection and its complications are global health problems. Approximately 400 million people are chronic HBV carriers worldwide. 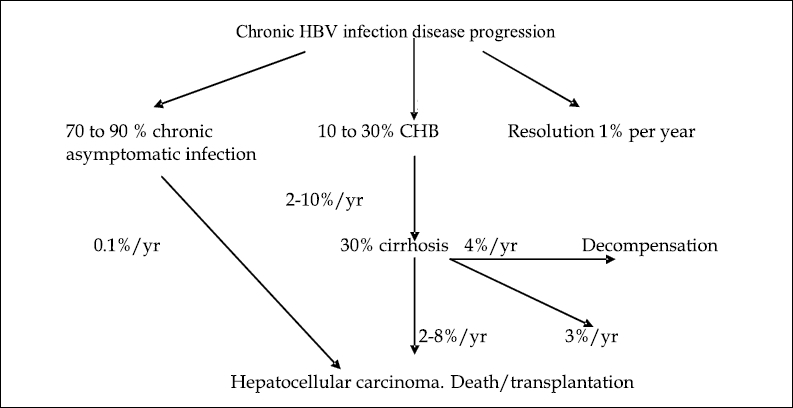 The spectrum of chronic HBV infection ranges from asymptomatic hepatitis B surface antigen (HBsAg) carrier state to chronic hepatitis with progression to cirrhosis and end-stage liver disease. It is estimated that 15% to 40% of people with chronic HBV will progress to cirrhosis. Several extrahepatic syndromes are associated with chronic HBV infection. These syndromes contribute significantly to morbidity and mortality. The mechanism of extrahepatic syndromes seen with chronic viral hepatitis appears to be immune-mediated. including deposition of circulating immune complexes, induction of local immune complex formation by viral antigens, reaction with tissue antigens by viral-induced autoantibodies, or a direct viral reaction to extrahepatic tissue sites. Polyarteritis nodosa (PAN) is a rare, but serious, systemic complication of chronic HBV infection affecting the small- and medium-sized vessels. PAN ultimately involves multiple organ systems, some with devastating consequences, though the hepatic manifestations are often more mild. HBV-associated glomerulonephritis (GN) occurs mainly in children, predominantly males, in HBV endemic areas of the world. In children, GN is usually self-limited with only rare progression to renal failure. In adults, course of GN may be more relentless, progressing slowly to renal failure. A serum-sickness like "arthritis-dermatitis" prodrome is also seen in some patients acquiring HBV infection. The joint and skin manifestations are varied, but the syndrome spontaneously resolves after the onset of clinical hepatitis without significant sequelae. Occasionally, the arthritis following the acute prodromal infection may persist; however, joint destruction is rare. The association between HBV and mixed essential cryoglobulinemia remains controversial. Finally, skin manifestations of HBV infection typically present as palpable purpura. Though papular acrodermatitis of childhood has been reported to be caused by chronic HBV, this association remains controversial. Alanine transaminase (ALT) levels have been routinely used in assessment of patients with chronic HBV infection for making the treatment decisions. ALT is traditionally considered to be marker of hepatocellular injury. Various studies using interferon, peg interferon, Lamivudine, Adefovir have shown the importance of elevated ALT levels in predicting the response rate to therapy. Various guidelines have recommended treating the patients of chronic hepatitis B with elevated transaminases and suggested that patients with normal ALT should not be treated. This approach needs a reappraisal. Information available to us in last decade compels to us reevaluate importance of ALT in management of chronic hepatitis B infection. With the help of available information it is reasonable to conclude that the ALT levels have poor predictability for progression of liver disease and planning treatment in patients with CHB. To conclude, patients with CHB infection with normal ALT should be considered for treatment based on the HBV DNA levels assessed by sensitive real time PCR and histological activity. Patients age and family history of liver cancer are two important parameters in considering aggressive approach in these patients. Hepatitis B is the leading cause of viral hepatitis in the developing world; at least 350 million people are infected with chronic hepatitis B worldwide. Although there are now 6 drugs approved by FDA for treatment of hepatitis B, treatment with nucleoside analogues are complicated by the need for long term therapy and the emergence of resistant strains. On the other hand, Interferon based treatment, though time bound, requires injections and is associated with significant side effects. Hence, optimal treatment of hepatitis B continues to remain the subject of many clinical trials. Management of nucleoside resistant mutants has become a major challenge in clinical practice today. Analogous to its use in HIV, the rationale behind the use of combination therapy is to improve the efficacy and decrease the risk of developing drug resistant strains. In treating HIV infection, combination therapy with agents acting through different mechanisms increases the genetic barrier for developing resistance. What is the current status of "combination therapy"? Is "combination therapy" the way forward? Other contentious issues in the field of Hepatitis B management include the relevance of Anti-HBc screening for blood donors, and the number of doses needed for Hepatitis B vaccine: two doses or three doses? Besides, should patients with normal ALT be treated? And is the presence of IgM anti-HBc diagnostic of acute hepatitis B? This review will discuss these different controversies that arise during care of patients with Hepatitis B.